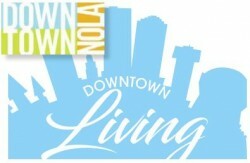 On March 20, the Downtown Development District, along with the Creative Alliance of New Orleans and the Louisiana Cultural Economy Foundation, will host the 5th annual Creative Industries Summit featuring the Downtown NOLA Arts-Based Business Pitch during New Orleans Entrepreneur Week 2017, the country’s premier annual business festival. CANO’s panel, “International Leaders Report on Worldwide Creative Commerce Trends,” will offer attendees the opportunity to meet and learn strategy from leaders like Eric Morgan. Topics will include how to become a leader in the city’s initiatives and how to make New Orleans the international cultural center it has always aspired to be. LCEF will host the second panel on “The Win/Win of Cultural Entrepreneurship — Putting Your Passions to Work.” Learn by example and hear from three businesses at three different levels of success. Ethel Williams of Cocoa & Cream Mobile Food and Catering will share her experience going from mom and phlebotomist to launching a successful food truck business. Publisher, gallery owner and entrepreneur Steve Martin will talk about creating Art+Design magazine, whose readership spans 12 countries. Finally, Domain Companies Principal Matt Schwartz will discuss the company’s unique business model, which incorporates art and culture. Young Artist Movement is the first city-wide youth mural program, engaging youth, artists and communities in sustained public art and place making.